Spider Flowers ( Grevillea ). Young caterpillars feed inside the flower buds. As the caterpillars mature, they feed on the outside of buds and flowers. They pupate in a silk cocoon among the leaf litter. 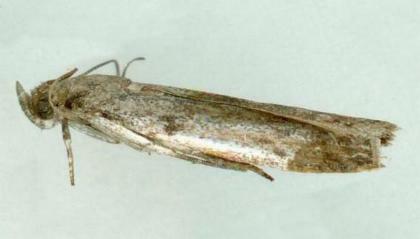 The adult moths are a patchy greyish-brown. The moths have a wingspan of about 1 cm. Volume 33, Issue 3 (August 1994), pp. 235–244. Volume 24 (1913), p. 128.